"Waverly Hills is the place where ghostly sightings are almost a daily occurence." Many paranormal investigators claim that the most haunted hospital worldwide is the Waverly Hills Sanatorium. In the year of 1883, a Major by the name of Thomas H. Hays purchased the land where the haunted hospital now stands in Louisville, Kentucky. Immediately after purchase, he found it a necessity to create a school for his daughter to attend. The school was constructed on what is referred to as “Pages Lane”. It consisted of just one room, which was sufficient for the educational needs of his daughter. In his search for an educator, he hired a female by the name of Lizzie L. Harris. He also allowed her to name the school. Since she was an avid fan of the novels written by Sir Walter Scott known as the “Waverley Novels”, she named the educational facility “Waverley School”. Major Hays took a fondness to this particular name and appropriately named his property “Waverley Hill”. Little did the two realize that this name would eventually spark conversations of spirits, mysteries and paranormal activity. In this ghost guide, you will learn why the Waverly Hills Sanatorium is considered to be the most haunted hospital worldwide. In the early 1900s, there was a serious tuberculosis outbreak that resulted in the deaths of millions of individuals. Before the introduction of antibiotics in the 1940s, this was considered to be one of the most serious conditions that affected individuals. Those that were diagnosed with this condition were often isolated as far away from society as possible. The locations that they were placed were designed to allow those plagued by the condition to rest peacefully and have access to the freshest air possible. Most of the hospitals used to care for tuberculosis patients were constructed in regions that were considered to be at high altitudes, such as hills. Most locations were surrounded by beautiful landscapes so that the ill patients could recover in a healthy and serene environment. The Waverly Hills Sanatorium was constructed in this manner. Perhaps the individuals who died at this hospital simply did not know their way to the spiritual world. That could be why it is considered to be the most haunted hospital worldwide. Originally, the haunted hospital only consisted of a frame building that had a total of two stories. The construction efforts started in the year of 1908 and were finalized enough that by the 26th day of July in the year of 1910, the medical facility was opened to patients. This particular establishment was designed to assist up to fifty patients in a comfortable manner suffering from the tuberculosis outbreak. The tuberculosis outbreak became so immense that the small hospital could no longer accommodate all of those that required medical care for their condition. Jefferson County started seeing so many new cases of this particular illness that the City of Louisville started taking measures to create a new medical facility. A total of $25,000.00 was provided to an organization called “Board of Tuberculosis Hospital” so that they may develop an advanced care medical facility. While the plans were being established and put into place on this construction endeavor, several medical tents were placed on Major Hay’s property to treat patients that needed immediate care. Unfortunately, the hospitals in the region were becoming extremely costly and overcrowded. 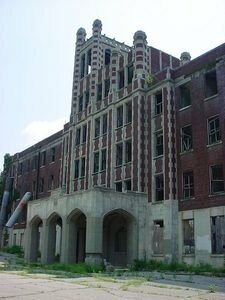 As a result, the construction efforts on the current Waverly Hills Sanatorium started in the month of March in the year of 1924. The land where the building was constructed was purchased from Major Hays by the organization known at the time as the “Board of Tuberculosis Hospital”. Because of the unique sound of the name that he had tagged on his property, the organization elected to keep the name intact. However, at the time, the name had an additional “e” in the spelling – Waverley. As time progressed, the additional “e” was dropped. Not much is known on the reasoning behind this. However, today, the name stands without the additional “e” – Waverly Hills Sanatorium. This structure was designed to be highly durable, and had the capacity to treat four hundred patients at once. It ended up being five stories in height and functioning at full capacity – sometimes more than full capacity – on the 17th day of October in the year of 1926. In the mid-1940s, the first antibiotic known as “Streptomycin” was introduced. Cases of TB started declining rapidly. As a result, what is now considered to be the most haunted hospital worldwide closed its doors to patients in the year of 1961. There were many different types of treatments issued to patients that received care at the Waverly Hills Sanatorium during the tuberculosis outbreak. Because of the fact that antibiotics did not exist at the time, many medical professionals and their staff turned to treatments that were considered to be natural. One of the main patient treatments at this medical care facility was placing patients on specially designed porch paths in their beds where they could be exposed to the outside air. It did not matter if it was winter or summer, this particular treatment was used. However, specially designed blankets that provided heat to the patients were provided during extremely cold periods of the year. It was believed that fresh air would enter into the lungs and that the germs that were part of the illness would be effectively carried away from those that were sick. In addition to the fresh air therapy, many individuals took part in a special type of sunlight treatments. If the weather was favorable, the patient would be placed outside to receive ultraviolet treatment. This form of therapy was referred to as “Heliotherapy”. If the weather was not favorable for a patient to be let outside of the most haunted location, they would receive treatment from sunlamps. It was believed at the time that the sun acted as what many medical professionals call a “Bactericide”, which means that the substances that caused the disease would be killed off. Additionally, the warmth from the sun was believed to be detrimental to the microorganisms that sickened the patient. The patients also received a wide array of fresh meats, produce and vegetation in order to strengthen their immune systems while being cared for at Waverly Hills Sanatorium. Many paranormal investigators believe that this is the one of the most haunted places in America because of the fact that several patients died while receiving surgical procedures. The procedures issued at the haunted hospital include “Pneumothorax” as well as “Thoracoplasty”. While these procedures were often used only as a last resort, many individuals that received them passed away during or immediately after the operation. One resource states that less than five percent of all individuals that received these surgical procedures lived. On top of all of the deaths that were occurring on a day to day basis because of the tuberculosis outbreak, this meant that a devastating amount of individuals passed away prior to the most haunted hospitals closure in the year of 1961. When individuals speak of Waverly Hills Sanatorium being one of the most haunted hospitals worldwide, one of the main regions that come up time and time again is the death tunnel. Many refer to this as the “Body Chute”. This five hundred foot structure was designed to transport the deceased from the medical facility to the lower region of the hill where various types of motor vessels awaited. This structure was designed in a period where there was no electricity, so it is exceptionally dark. Furthermore, it was used to avoid lowering morale on those that remained alive in the haunted hospital. Many paranormal investigations have gathered evidence in the death tunnel that seem to indicate that there are many spirits that apparently seem lost in trying to uncover the spiritual world. EVPs, ghost pictures and even videos that contain unexplained phenomenon have been produced in the death tunnels of the most haunted hospital worldwide. While the Waverly Hills Sanatorium for the tuberculosis patients experienced many deaths, it appears that their intentions were positive for the patients. However, this does not seem to be the case for the next business that operated behind the walls of this grand haunted hospital. In the year of 1962, the facility known as the “Woodhaven Geriatrics Sanitarium” opened for business. Many individuals also referred to this facility as the “WoodHaven Medical Services” unit. Many unfortunate stories of patients being abused and experiencing various degrees of maltreatment occurred when this facility took over. According to historical documents, the facility was closed in the year of 1980 because of the fact that there was some validity to the reports of abuse and mistreatment. Many believe that the building is considered to be the most haunted because of what occurred within its walls during this period of time. •	At the main entrance of the haunted hospital, many have reported seeing the apparition of an elderly female that often resorts to running from the front entrance. It has been said that she is bonded by chains and that the chains appear to have cut into her skin because of the visibility of blood that is witnessed. In addition to this, many stories have the woman yelling for assistance. All stories reflect the fact that she literally disappears into thin air. •	On the third floor of the structure, reports of an apparition of a young female have been reported. In some instances, she talks to the living claiming that she does not possess eyes. In other instances, she is playing with a toy such as a ball. In other reports, the little girl is looking out of the window from the third floor. Many refer to this ghost as “Mary”. •	It is believed that a head nurse in the year of 1928 committed suicide in the room at the most haunted hospital known as “502”. While many speculate that she could have discovered that she was pregnant and was not yet married, the facts surrounding this case are not precise. In another story that occurred in the year of 1932, a female nurse jumped from the window of the room and died. The details of this incident are unknown as well. However, many state that they see the spirits of these nurses – dressed in their work uniform – on a regular basis. •	Many individuals have reported hearing and seeing children ghosts on the roof of the most haunted hospital playing. It is believed that children who were receiving sunlight therapy would be placed on the roof for optimal exposure. •	The fourth floor of the most haunted facility is believed to be one of the most paranormally active in the entire structure. Shadows are often seen, doors are often slammed shut unexpectedly and angry voices and noises are often heard. •	In the kitchen region of the most haunted structure, many claim to smell the aroma of cooking food and to have observed the spirit of a chef lingering in the region. Many speculate that this is the ghost of a food service worker that caught tuberculosis while working at Waverly Hills Sanatorium. •	In addition to the stories highlighted above, many have reported seeing lights and other types of oddities that could be produced by electricity – when electricity was not present in the structure. Furthermore, many have heard disembodied voices, whispers, cries and yells emerging from the corridors of the haunted hospital. There are several reasons why the Waverly Hills Sanatorium is considered to be the most haunted hospital worldwide. Several patients have been through the doors of the hospital to be treated and never were able to walk out of them because of the fact that they died. Others were severely mistreated while receiving medical care within the walls of the facility. In a location surrounded by sickness, sadness, despair and death, it is no wonder that this hospital is considered to be the most haunted structure worldwide. Check out this video documentary to see the inside of Waverly Hills.